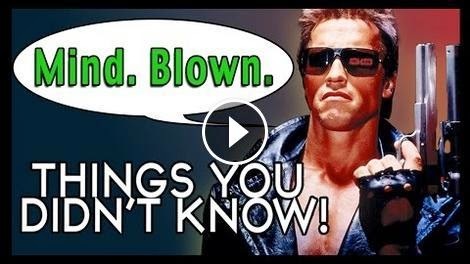 I love trivia, and the Terminator movie series, so finding this video from Cinefix was awesome. It has a collection of facts and trivia about the Terminator and the related sequels. Check it out to see a little more than seven things you probably didn't know about this iconic sci-fi movie. Did you learn anything new about the Terminator? I knew Linda's twin was in the movie. Amazing they still look so much alike. edition of informative post. You captured all the essence of the subject here. with this blog! I genuinely like this content and make it important for me. side and that’s easy to determine for working.